Is the consumer electronics paradigm shift changing the soul of TV viewing? What role does broadcast TV play? Major technical TV milestones used to occur about every 20 years. Television took 20 years to progress from black-and-white live cameras and film in the ‘40s, to color and videotape in the 1960s. By the ‘80s, ENG and satellites were changing the TV news business, and AM radio-quality TV audio became Hi-Fi stereo. Around Y2K, digital video and HDTV demolished the analog NTSC foundation of the broadcast TV paradigm and new technology is moving faster than ever. In the last 20 years, live-TV field production technology has moved from SD to HD, from VTRs to DVRs and files, and from analog baseband to SDI and on to IP. Nearly every new technical device has fulfilled the generic promise of “better, faster and cheaper.” About the only individual technical components that remain expensive are broadcast HDTV lenses. Black and white TV? Today's younger viewers ask, "Where's the color?" This image from the "I Love Lucy" show, starred Lucille Ball and Desi Arnaz, who were actually real wife and husband during the 1951-1957 series. No politics, just family humor. The biggest change in TV field production is the result of blazing consumer electronics progress. Consumer TV displays 20 years ago were all CRTs, mostly 12-27”. TVs and viewers were generally tethered to a cable or satellite receiver, and each TV station only broadcast a single channel of TV content. The most popular video format was VHS in PAL or NTSC. Virtually everyone was producing content for viewers watching the same small, low-resolution screens that had to warm up before they could be viewed. The 2019 TV production enigma regards what viewers are watching content on. Most TV viewers own big screen TVs, but they don’t always watch linear TV on them. Streaming local broadcast TV and national networks on a smartphone is just a monthly payment away and quite convenient. The 4:3 or 16:9 safe zone for HD production dilemma has been replaced by a TV audience split between huge and tiny display-size extremes. It splits viewers into two distinct groups: People watching big screens possibly with others, and private individuals watching a screen in their hand or lap. These opposites get vastly different viewing experiences. What all viewers can or can’t easily see with their eyes on all screens often dictates the size and placement of TV graphics. On smartphones, dramatic wide shots lose their drama and extreme closeups work best. On big screens, graphics readable on smartphones and extreme closeups look too huge. The wide difference presents a conundrum of opposites and opportunities. Content designed specifically for vertical smartphone displays can change everyone's TV production perspectives. The adage that "Content is king," may still be true. But today, portability and variety pulls in viewers. For the first time, in 2018, more scripted content programming was developed for streaming channels than for broadcast and network channels. 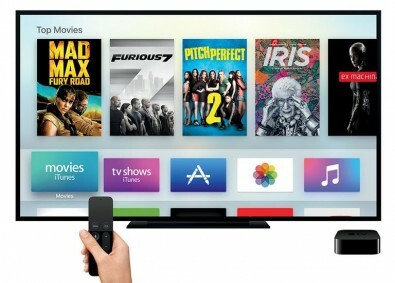 Apple TV, shown here, is but one of many streaming services. Click to enlarge. The display extremes that viewers watch offer new opportunities for content creation and how it is focused. Content can be focused one-to-one like radio, or one-to-many as other visual art forms such as movies and live theater still are, and nearly all TV was before smartphones. The challenge is to produce content that plays well in all sizes and perspectives. One size fits all, no longer applies. There are several new consumer, computer and broadcast field production technologies that will become more mainstream in 2019. First is Gigabit Ethernet (GbE), which is rapidly becoming 10GbE, which pushes the limits of copper links. GbE opens the gates for real-time, production quality, IP 4K video transport not only in fixed video studio facilities but also in public venues and growing numbers of private facilities. GbE supports video industry variants of uncompressed or lightly compressed video over IP transport. The ability to use someone else's GbE infrastructure may not be right for every remote live TV production, but if the show can afford the risk of relying on a third-party to move uncompressed live video around a LAN, productions can become much simpler, if not less expensive. No engineer likes spooling and protecting copper or fiber at a remote site when there are network connections in the walls. New federal 25Mbps rural speed push will affect smaller markets and suburbs as much as the boondocks. It will give new life to 5GHz Wi-Fi, making it practical to set up a single internet connection to control and backhaul multiple cameras to a single point for production switching and live internet streaming. See my article, "IP Production in Fly-Over Country"
No story about the future of TV would be complete without a brief discussion of 4K and 8K, which dovetails into ATSC 3.0 and 5G. Will ATSC 3.0 get off the ground? Yes, and so will 5G. How either or both change the way viewers watch TV remains open to theory, debate and new ideas. Lots of viewers still prefer linear and passive TV, the more passive the better. There's much under the hood of ATSC 3.0 including H.265 aka High Efficiency Video Coding (HEVC). It uses about 1/2 the bandwidth as the H.264 aka Advanced Video Coding (AVC) standard used in ATSC 1.0. H.264 uses macroblocks from 4x4 to 16x16 sizes. H.265 uses Coding Tree Units (CTUs) to more efficiently process blocks up to 64x64. 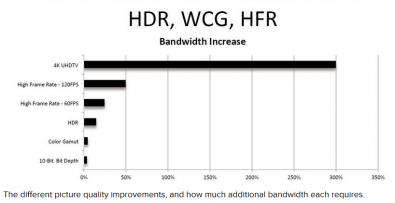 HEVC has been around a few years but only recently became a recognized industry standard. The A/341:2018 Standard, “VIDEO – HEVC” was approved by SMPTE on 28 August 2018. 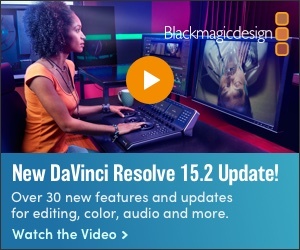 The impact of the SMPTE HEVC approval on new gear for streaming video, TV and live camera links will be prominent at the 2019 NAB Show. We’ve heard technology hyperbole at NAB Shows before, in exhibits touting 3D TV, interactive TV and second screens. Yet, most local TV stations still broadcast a one-way local news/weather/sports show at 6 and 10 (or 11) just as they did in the black and white days. Will that change with ATSC 3.0 or 5G? Probably not until someone has a better idea and sponsors willing to buy it. The promise of 5G is more bandwidth and detailed data about each viewer and their location. 5G may or may not stream ATSC 3.0 signals. On the other hand, ATSC 3.0 is a blank TV screen with all kinds of brand-new hidden digital dials, levers and options that broadcasters, producers and sponsors have never had before. Right now, the competition is wide open to everyone. The next big TV milestone could begin as a block diagram on a napkin. What is certain is that ATSC 3.0 consumer TV’s will become smarter, even able to learn about its owners and then deliver relevant content based on that owner’s preferences and physical location. What the TV doesn’t learn from viewers, it will learn from Google and other internet sources. TVs will be watching viewers just as the internet does now. The lessons of HDTV were that TV advertisers pay for eyeballs, not pixels, and that digital subchannels make money. The matter hasn’t been officially settled, but word around trade shows is that HDTV with HDR (High Dynamic Range) and WCG (Wide Color Gamut) may be the point the US broadcast TV industry says is good enough for broadcasting. Anything more may come at a premium price. The lessons of HDTV were that TV advertisers pay for eyeballs, not pixels, and that digital subchannels make money. Outside broadcasting and live multi-camera remote productions may have hit the resolution-value wall too, other than the myriad advantages of producing, editing and archiving in 4K. 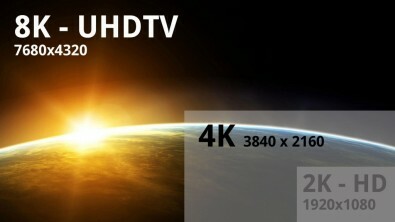 Will viewers see enough added value in 4K or 8K imagery, over HDTV HDR/WCG, to pay extra for it? Time will tell. For production companies, the one factor seeming most clear is that ATSC 3.0 will increase the demand for new advertising and program content, much of it local. The niche markets within DMAs that ATSC 3.0 will sort out and address will increase the need for highly targeted content and ads. How thin can you slice a DMA pie before the slices have no value? ATSC 3.0 and 5G are about to find out. Of course, all things ATSC 3.0 depend on new business models, and the FCC’s minimum quality for the required ATSC 3.0 free channel is only SD. If the industry gets greedy, everyone may have to pay for higher definition.